Wycliffe “Steely” Johnson, musician and producer extraordinaire, passed away yesterday morning (1 September 2009) in a hospital in New York. You can read the details elsewhere if you’re so inclined- having been privy to the details of his travails for some time I can say the media has it mostly correct, but that’s not really what matters. Steely on the keyboards formed one half of Steely & Clevie Productions- the most influential and prolific production team in Jamaican music post-1985. Along with drummer and percussionist Cleveland “Clevie” Browne, they defined the sound of modern dancehall, produced gold and platinum records, Billboard hits and Grammy-winning albums, and even inadvertently set the stage for reggaeton via the genre’s foundations in their riddim track for the Shabba Ranks single “Dem Bow”. Steely was also the founder and owner of Silverhawk, a major soundsystem of its time. Steely’s history in music is much deeper than this, but in any event, it is also well documented. My memories of Steely, appropriately enough, are all about music- the last time we saw each other was late 2008 at the now-defunct Studio 2000, their seminal production facility on Worthington Terrace in New Kingston. We were having an “iTunes clash”- trying to see who could draw the most obscure but important records from their mp3 collection- these usually centred on things like American R&B records that were later successfully covered by Jamaican artists but the originals remained unknown. I pulled a couple punches on Steely, but his knowledge of music was immense. A similar scene was always played out in one of the three places that we would regularly meet- Studio 2000, my offices around the corner on Haining Road, or the Grog Shoppe at Devon House. Meetings about some business or the other would quickly stray into either Clevie’s endless anecdotes about his experiences in Jamaican music- sneaking onto the set of Rockers at a very young age and playing drums, the random insanity that would greet him at every session at Lee Perry’s Black Arc studio, electronic mods they used to get certain sounds, etc.- or Steely’s similarly bottomless fountain of musical cross-references. The studio was really the best venue for these encounters, as Steely was usually seated in the back corner behind a (musical) keyboard, and as quickly as we would introduce a new song to the discussion, he would begin to play it. I don’t know for certain, but I suspect Steely had both perfect pitch (the ability of a person to identify a musical note sans an external reference) as well as the ability to play by ear (play back a musical composition just by hearing it). Regardless, he possessed exceptional musical talent. In 2007 I was involved in the Best Of The Best stage show in Miami- Steely and Clevie were among the VIP guests we invited to hang out backstage. I looked back at the pictures to see if I could find any of us together and realized that all the ones with Steely I was behind the camera, and the ones with Clevie and myself were taken by him! Steely later told me that the show was one of the best times he had had in recent memory. 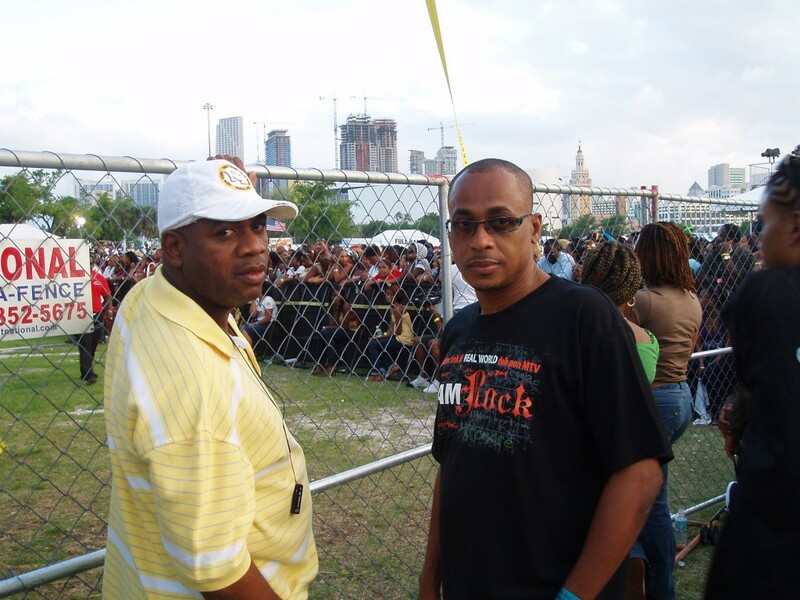 Clevie and him were the kings of backstage- from Barrington Levy to Super Dups of Black Chiney, people paid their respects and expressed their surprise at seeing the normally low-key duo out in public. In my mind Steely stole the show at the Reggae Academy Awards Show in early 2008, presenting an award to Stephen “Di Genius” McGregor- Bunny Lee and King Jammys also wore white suits, but only Steely truly rocked his. He was a gentle giant. He had effortless cool. I spoke to Steely earlier this year on the phone after he had gotten sick. I told him that he was in Karin and my thoughts, and we were hoping he would recovery speedily. He sounded distant and it made me sad. RIP Steely, the world will miss you and so will I. A beautiful and heartfelt tribute – I have seen small references from Jamaican friends on FB, but not until now (and from the excellent NYT obit) did I get a feel for the man and his accomplishments. That was a truly an amazing tribute. What is most important is the soul of a person and his contribution to the world rather than where it ended-that makes this piece stand out above any others I have read. Steely will be greatly missed. He is a huge loss to the Jamaican music industry and at a time when we can least afford to lose our leaders.